With Unbound, she was free! Something quite new for this blog – an author interview with Suzie Wilde. She patiently answers my questions about her crossover novel The Book of Bera Part One: The Sea Paths and its journey to publication through Unbound. 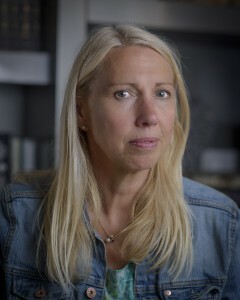 I first met the multi-talented Suzie on the Creative Writing MA at West Dean College. Here I grill her about her latest book – and the route she has taken with it. Like many people, I wanted to understand how Unbound works. Four years ago at the Chichester Writing Festival Dan Kieran (CEO) came to talk about launching a new venture that was based on an old idea of subscription: to put readers directly in touch with writers. 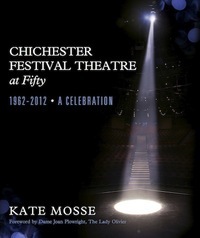 I was reminded of what quality books they publish when Kate Mosse’s celebration of Chichester Festival Theatre was published by them. What kind of books do they publish? Why do authors use them rather than other forms of publishing ? And how is different to Kickstarter? Since one of their aims is to expand the horizons of what is deemed publishable, providing readers with real choice, their back-list is totally varied. It seems to me that there are slightly more works of non-fiction, purely because photographs or colour illustrations are so expensive to print. Here, the author gets to choose everything, with the assistance of the same professional team you would find at any other publisher. Authors submit directly to Unbound and do not require an agent. Once the book is funded (and 65% of their authors are, whereas Kickstarter has a failure rate of 54% I read this week) Unbound and the author share the proceeds 50-50. I think this is because Kickstarter authors select themselves. For me, I still wanted the validation of the work being chosen in a traditional way. Increasingly we have to market our own books anyway, so I’d rather have a greater reward for doing that and also get an early list of subscribers with whom I can form a relationship from day one. It’s more likely they will stay with me for the long haul as I establish a career: it’s in my hands and I like that. Can you tell me some success stories? 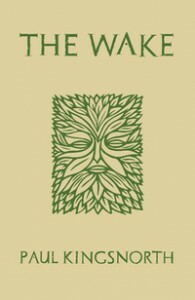 The most celebrated would be The Wake by Paul Kingsnorth. It was long-listed for the Man Booker and won (amongst others) the Bookseller Book of the Year in 2014. Shaun Usher (3 books), Jonathan Meades (4) and Nicholas Lander do well. Many books are massively successful because of an existing on-line presence, like Stuart Ashen’s book Terrible Old Games You’ve Probably Never Heard Of, which was fully funded in a week. It’s great that you don’t have to already be a celebrity to succeed. I’d like to know about the process; what came as a pleasant surprise, for example? Are there any tips you’d share with anyone else thinking about pursuing this? It sounds ridiculous but the most pleasant surprise was that when I met the team they were all friendly, knowledgeable about the book and viewing this as ‘our’ project, not me as author having to do all the work up front. What’s more, my emails are followed up within an hour, usually a few minutes. That was new! generally the process is simple: the author pitches an idea; if readers like it they pledge; they then get access to ‘The Shed’ (see below) and then they get a limited edition hardback book and/or ebook. My big tip would be to establish a genuine online presence first. I have been on Twitter and Facebook for years but YouTube and Instagram followers would make life easier. Certainly, don’t join then start pitching. Readers – what’s in it for them? Explain The Shed and how you came up with The Rewards. Readers get to choose. As simple as that. Instead of being told that ‘no one wants dystopian fiction’ anymore (not my subject, by the way!) it becomes clear if no one pledges for it. In some cases, readers even have input on content or cover design. It’s a dialogue: reader/author. The first meeting ground, after supporting a project, is The Shed, or author’s private area. In my case I’m discussing the process of writing The Book of Bera, including videos and photographs of research places and topics. My years of sailing also feature. In future, I’ll be getting supporters to choose wood cuts for chapter headings etc. Tell me about where you are with The Book of Bera and any other projects – especially those that would interest SCBWI members. 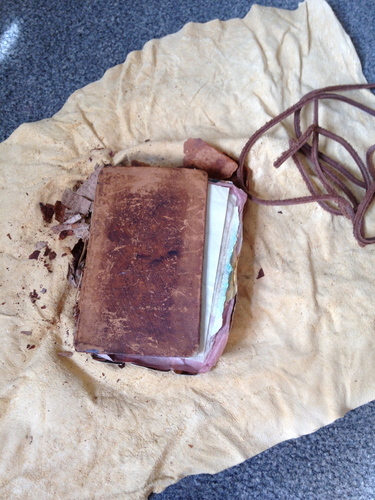 The Book of Bera Part One: Sea Paths, once funded, will be edited by Liz Garner, who read the submission. She is the daughter of Alan Garner, one of my heroes (mine too!). It’s currently Young Adult/New Adult. As you can see, it’s part one of a possible trilogy so I’ll be working on the sequel under readers’ and Liz’s influence. On Saturday afternoons in our local library, I’m working on Middle Grade adventure story with that age group, which I’ve also used as the basis for a family play. I’d like others to come to love Bera and want to continue following her adventures as much as I do. I know I will! Thank you, Suzie Wilde. This entry was posted in Publishing, Writing and tagged Suzie Wilde, Unbound by KMLockwood. Bookmark the permalink. Thank you so much for this. What a fascinating process – I wish Suzie all the luck.